More space is being found for channels on terrestrial TV platform Freeview, as a result of ongoing enhancements to configurations to enable more videostreams to be carried on each multiplex. Changes to the way Freeview multiplexes are broadcast alongside encoder and resolution changes have resulted in the number of standard definition channels able to simultaneously share a multiplex to increase from between 4 and 6 at the launch of Freeview in 2002 to up to 16 today. Following the launch of a record-breaking 16th videostream on the ITV-owned SDN multiplex in the spring, triggering a knock-on effect that allowed children's channel POP to launch nationwide on Freeview and allowed ITV to move its children's channel back to its own capacity, Arqiva is preparing to do the same on its Freeview capacity. After a recent reshuffle of Freeview capacity between multiplex operators, which has seen most streamed channel portals (channels 225 upward) move to the SDN (COM4) multiplex and commercial radio stations move to the Arqiva B (COM6) multiplex, Arqiva's "A" multiplex (COM5), which carries Sky News and Dave among others has now been configured for 16 videostreams, although only 15 are currently available to the public. The extra capacity will come as the SDN multiplex fills up with new channel Blaze, which officially launches at 3pm on 20th September. Based on the current configuration, something will have to give to provide space for Blaze. And over on the new DVB-T2 multiplexes, receivable on devices that work with Freeview HD, Freeview Play, EE TV and YouView, capacity options are even more abundant, providing a glimpse of what awaits the Freeview service around the turn of the decade when a general switch to the DVB-T2 standard is expected to take place. Multiplex COM7 currently can offer a mix of 6 HD and 7 SD channels. 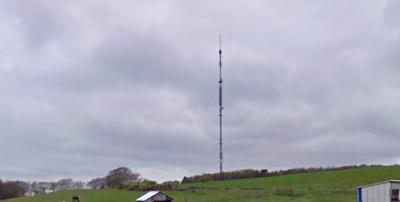 With COM7 and sister multiplex COM8 due to disappear from the airwaves as part of a major configuration by spring 2020, a switch to DVB-T2 will provide ample space for all HD and SD services currently broadcasting on Freeview. The addition of an extra stream on a Freeview multiplex once made it into mainstream news outlets, when broadcasters were bidding around £10 million to get the new capacity. Carriage deals, such as SDN's deal with QVC until 2022, were also widely reported. Technical changes and carriage deals are nowadays rarely spoken about in the public domain, with some changes remaining classified as 'commercially sensitive' until after the change has taken place, to the annoyance of viewers when it affects their reception of services - although equipment manufacturers are increasingly making minor changes automatic, so that multiplex changes may go unnoticed by most, unless it involves a change in coverage. However, a distinct lack of new HD content and the apparent lack of enthusiasm from new entrants on Freeview to make their channels available in HD, compared to developments in other countries, in favour of squeezing more channels into the same bandwidth is frustrating - and some viewers have commented on the softening of pictures as a result, making channels have a visual effect similar to an old US TV show. However, Ofcom data from earlier in the year suggests that in reality not many viewers actually complain to them about Freeview picture quality. With TV now being increasingly split between those watching on small-screen mobile/tablet devices and those watching on ever bigger living room TVs, there certainly is an argument that in the medium to long-term, traditional TV platforms may want to provide a higher definition service as standard to cater for traditional linear TV viewers, leaving lower resolution services for those who watch on 5" mobile screens. And now that more HD channels can fit on a multiplex than ever before, the cost of doing so becomes more affordable. With some of the biggest broadcasters, including the BBC, now offering high quality live streams of their channels to connected TV sets, the difference between a Freeview SD stream and a high quality online stream only risks to encourage viewers who can benefit from a high-speed connection to make the switch to online TV more quickly, especially in areas without full Freeview and Freeview HD coverage. But with digital terrestrial TV's future beyond 2030 very much uncertain, perhaps it's a switch broadcasters want viewers to make. Here we go again. OFCOM happy to see a reduction in quality to cram in a few more channels. While SKY and BT move to 4K, Freeview now won't even provide a decent SD signal! The world has gone mad! With catch up services and PVR's the need for +1 hour channels seems a bit redundant, I have 14 on my TV wasting a lot of space. I do think it is time OFCOM banned new channels launching in MPEG2 format and started encouraging mux operators to begin the switch to DVB-T2. The entire terrestrial TV system should be DVB-T2 based by spring 2020. If reports are to be believed, that is. A lot of people still don't have Freeview HD kit. Ofcom don't get many complaints about picture quality because most people can't be bothered to complain to them. Myself included, mostly because I know nothing will come of it. That doesn't mean we're all happy with the picture quality. I don't watch any of these crap lego vision channels. I think that the switch over to DVB-T2 will be delayed because of people still having older equipment and signal stability issues like the change between FM and DAB in radio. But the difference is the FM band is no use for almost anything else (it propagates too far). Whereas the 700Mhz band is being drooled over by mobile broadband equipment vendors (operators not as much), and almost everyone is panicking about running out of mobile broadband spectrum. It will happen, and probably almost on time. What I don't understand isTVs on sale. A small number of years ago I bought for my parents bedroom a 24 inch Sony TV, full HD with a 1920 x 1080 panel. And yet it has a DVB-T only tuner. Why on earth did they do that? I makes no sense at all. I bought them a Humax HD Fox T2 tuner to go with it, but the Humax gets in the way a bit. Shame it was necessary.